2018 Leaf Best of Football lets fans roll the dice for another year. 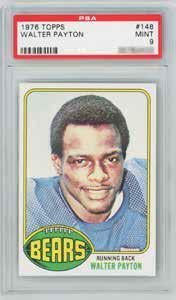 No matter what, collectors can be sure of a football card buyback and an original Best of Football card. Like it basketball counterpart, there is also a chance for limited redemptions that offer sealed product or memorabilia. 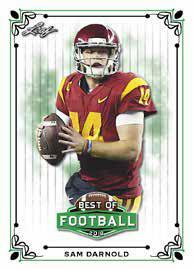 Featuring some of the top 2018 NFL rookies, the 2018 Leaf Best of Football checklist offers base cards that come one per box. However, the main draw of the product that has been issued for years is the buyback card. 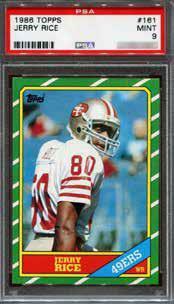 It's a gamble, for sure, but the upside is the rookie cards for some of the NFL's greatest players. Some are professionally graded, as well. 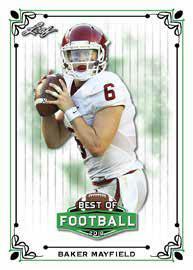 There are also limited autographs in play, including low-numbered and even graded options. Other choices consist of various game-used memorabilia cards. Finally, taking the place of the buyback in random boxes are redemption cards that are good for unopened packs or boxes, plus some premium memorabilia items. PEYTON MANNING 2008 UD HEROES FOOTBALL JERSEY RELIC AUTOGRAPH 15 COLTS BGS 9! 17 cards. 1 per box.